After the heavy meal yesterday for Thanksgiving, I thought I would go with a lighter dinner today. 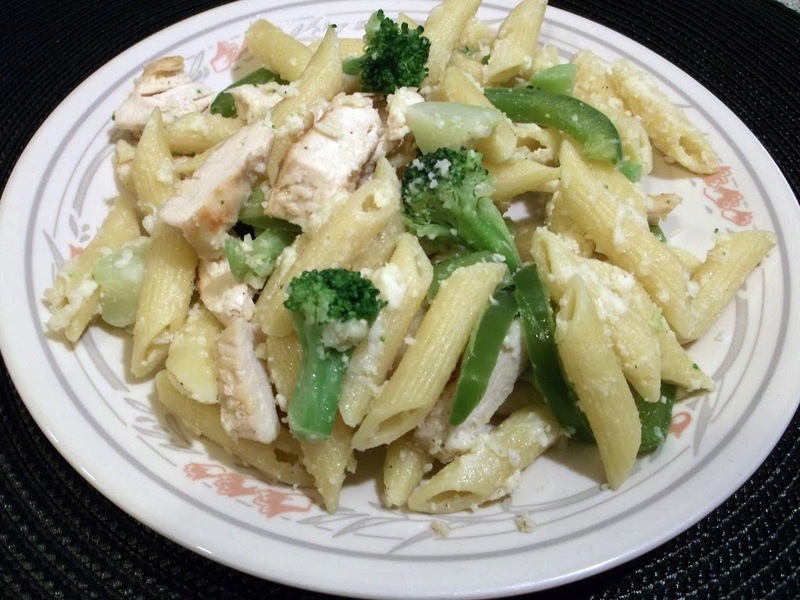 I have been wanting to make a pasta dish where I would pair chicken with pasta. After searching for a recipe that I thought everyone would enjoy and not really finding what I wanted; I decide to throw one together on my own. I couldn’t decide if I should go with a tomato based sauce or something all together different. In the end I decided to go with no sauce at all. Parmesan and Mozzarella won out over the sauce and I have to say that it was a good choice. I had wanted to make it a little spicier by adding some crushed red pepper, but I got a thumbs down by some of the family members. So I decided to set the crushed red pepper on the table so the ones that wanted a little heat could add it. Either way this dish turned out to be a tasty meal and we all enjoyed it. I had baked some Parmesan herb rolls to go with the pasta dish, which went well with this pasta. Parmesan herb rolls will be on the blog soon. 1. 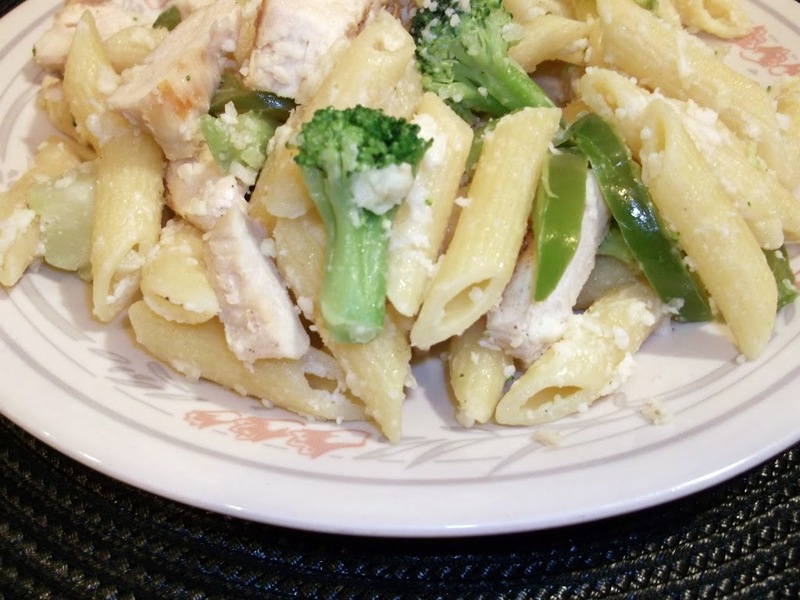 In a large kettle add 2 tablespoons of Olive Oil to this add the garlic, onion, and green peppers. Saute until vegetables are tender. 2. Season chicken with salt and pepper to taste. Grill chicken until done. If the chicken breasts are large you can cut into smaller piece to cut down the cooking time. Once the chicken is fully cook slice into bite size pieces. 3. Cook pasta according to package directions. Be sure not to over cook. 4. Steam broccoli according to package directions or if using fresh cook until broccoli is tender. 5. 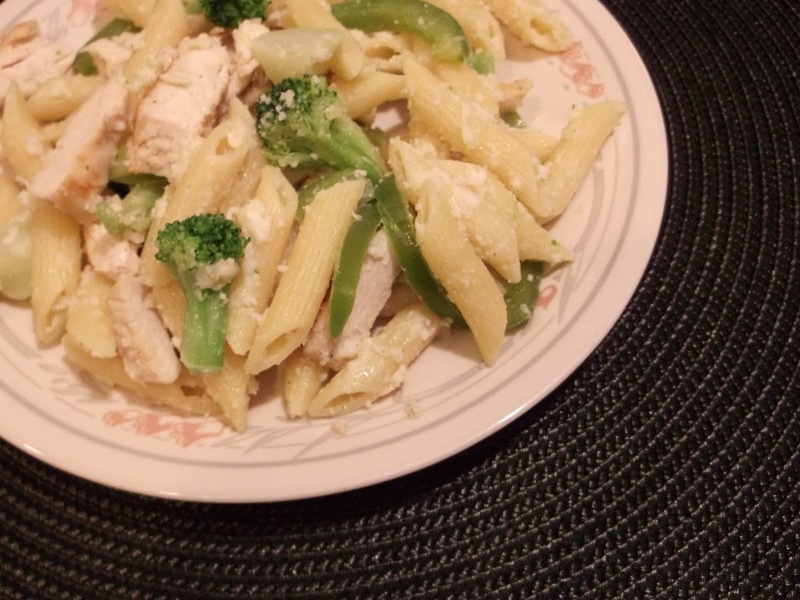 Add the chicken, broccoli, and pasta into the kettle that the garlic, onion, and green peppers were saute in. Once these ingredients are mixed completely add the Parmesan and Mozzarella. Toss until the cheese is mixed in with all other ingredients. What a delicious pasta! You packed it with some of my favorite flavors! I am so sick of turkey! Would love this instead.